motocross madness 2, better than 1 - but how much better? Put a Little Madness in your Games – with motocross madness 2! Sports games are entertaining as you can get involved with a favorite event any time you choose. Features that allow the game to change in difficulty and visual display add more appeal to the gamer. Motocross Madness 2 is a player friendly game that offers a number of options for more excitement and fun. Choose the terrain and customize your bike; it is all good. Challenge levels vary in this game with six racing platforms. Released by Microsoft Games in May of 2000, the game was developed by Rainbow Studios. Improved graphics and player capabilities over the original Motocross Madness are two of its best features, for they make it more realistic. Enhancements include an enriched scene presentation with trees and other elements of outdoor racing. The racing modes allow the gamer to select a career mode. Track types and the style of race are enhanced by the 3D graphics, which give the game a more realistic feel to the game. That leaves behind the sometimes dull delivery of PC gaming. Typical of real life, skill improves with practice. Whether you choose the Nationals, Stunts, Baja, Pro-circuit, Enduro or Supercross racing platform, Motocross Madness 2 keeps the challenge in racing. Take advantage of the ghost racing feature, where you can compete against your own times and improve performance and scores. Stunt performance is based on successfully completing stunts on different terrain. Become a big name in Baja racing by riding through an open wilderness setting, reaching checkpoints or gates before other riders. Supercross features an arena setting with a wider track than that seen in the Nationals racing. Competing against others adds to the fun. Ride against up to 10 other players. Throw a bit more realism in the game with the special effects and lighting features that 3D graphics offer. You will actually see those enhanced smoke emissions as the realistic visualization of racing continues. Top graphics and sounds make the package complete. The game features music tracks from Incubus, an American rock band with hits in genres including heavy metal and funk. Motocross Madness 2 yields a racing environment enjoyed by novice to expert game players. Develop your gameplay for MX. Motocross madness 2 is a really excellent game for the PC or playstation. It’s a great way to develop your skills on a motocross ride. The graphics have improved since M.M.1 and so has the gameplay. The many challenges and tracks should keep you entertained for hours. 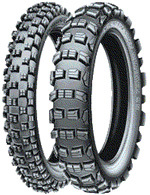 Perhaps once your ready you'll want to put those new skills to use on a real dirt bike track? 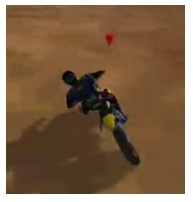 If you have been playing motorcross racing games for any amount of time, you will have encountered motocross madness 2. It’s a great game, where you have bonus tracks and hidden tracks. So would you like to know more about this cool game? Lets find out more about motorcross madness2. If you want to buy motorcross madness 2, Ebay should be checked out. They had the motocross madness 2 track game for the PC priced at £12.88 + £8.58 shipping. Also the same game for the playstation was for sale at £17.89 + £10.24 shipping, so you don't have to dig deep for anything this popular. If you like to play MX games a lot - what about amazon.com? They had motorcross madness 2 on sale at $49.94. You can buy the games "used" of course, saving you a little cash. But do find feedback & ratings and what the forum fans say about new dirtbike games before you even buy - thats the beauty of amazon (customer reviews). Not always but sometimes amazon can work out cheaper than ebay – so never assume ebay is the bargain option. Getting back on track this game, has been raved about - so you know your not buying a dud. With classic tracks and practice tracks you can go at top speed to test your racing tires to the limit on the circuits set out for you. This time instead of the flat track; you get a huge environment and lots of obstacles set in your way. Bushes, trees and the like plus a highway as well as the rugged mountain roads. Detail of the places you ride around is much better. But this games package is very extreme; hitting a large ridge on the dust will launch your bike way into the air (over the trees in fact!). Of course MM2 makes a cool present for your kids, and you wont need to dirty your real track pants & jersey – plus no need for a MotoX helmet either. The code for motocross madness 2 is very stable, and should not crash (much). But do be sure your computer can handle loading the game, and that your PC’s spec will run this ok? A game is easy, you sit in your favourite chair grab a cold drink and spend a few hours playing to your heart’s content. The real dirt track is a lot less forgiving. For that you’ll want a hard wearing set of combos – by that we mean jersey, pants and gloves. Not to mention all the other stuff such as helmet, body armor, neck brace and boots. 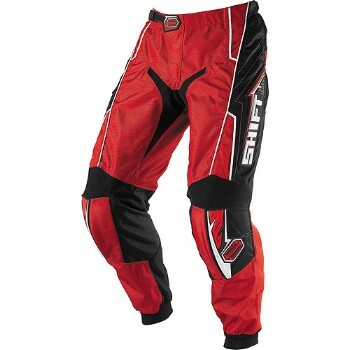 Combos have lots of styles and brands and its therefore easy to find a set of pants that’ll fit with the colour of your bike, or you might decide that you want a contrast to the look of your dirt bike. It’s all possible – but the quality not the look should be where your focus is.